EATERTAINMENT is trending at…Wacky's ! EAT! DRINK! GAME ON! EATERTAINMENT is trending at…Wacky’s ! 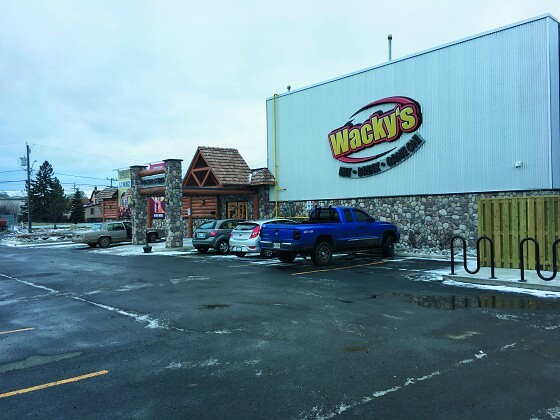 Wacky’s, located at 540 High Street, Thunder Bay, Ontario is the place that should be on everyone’s ‘places to enjoy’ list! 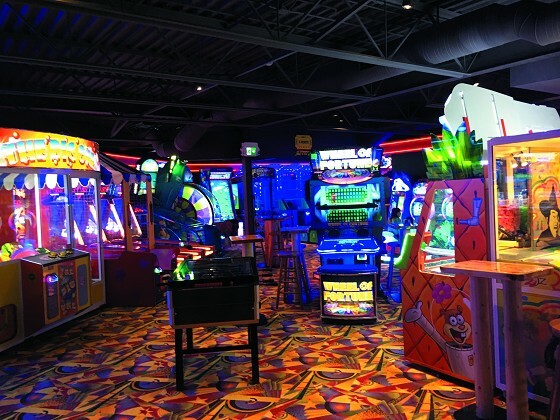 The 15,000 square foot building features one mammoth size T.V., an interactive games zone, sports bar, a full restaurant menu, and billiard tables. With the capacity to seat 600 guests, you can be sure the fun starts here in this now trendy eatery and entertainment venue! Or should we say Eatertainment venue! “One of the biggest features is the largest (Wacky’s ) licensed sports television viewing screen north of Toronto,” Burgess said. “It’s basically a one stop shop for fun.”Craig Burgess is proud to be Thunder Bay’s newest restauranteur of such a successful franchise! Along with offering popular menu selections, Craig is also happy to be encouraging economic growth in the region, in job opportunity options! 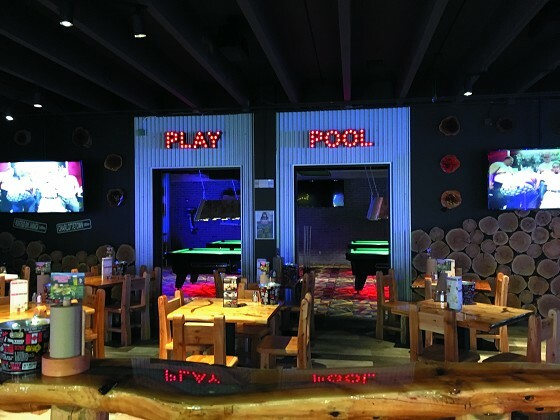 Wacky’s is a well – received addition for restaurant-goers in Thunder Bay and region and with welcoming our neighbours from across the U.S. Border, the place is a buzz! With over 100 exciting seasonings to be enjoyed when ordering wings, not to mention the casual, relaxing, yet FUN atmosphere, it is no wonder that Wacky’s is gaining in popularity! Wacky’s opened on November 10th, 2016 and has already been established as ‘The place to meet’ by the masses! Along with accepting reservations for parties of 10 to 75, Wacky’s can help make your special occasion just that…SPECIAL! non-alcohol drink is what you prefer, Wacky’s Mixologist can prepare almost any beverage, non-alcohol, for those patrons who prefer this for their beverage choice. And since they can prepare non-alcohol beverages, one can get their drink preference to go when making a take-out order! McCart “We couldn’t be happier with the results! Everyone was onboard and I can’t say enough about the whole project and those who worked on it!” Aurora Construction has also recently completed another renovation project at the well-known Maltese Grocery at 301 Pearl Street, here in Thunder Bay. Wacky’s and everyone there are very happy with their new home of business and invite everyone to stop in for Eat! Drink! Game on!! It is our teams mission to ensure every Wacky’s guest leaves satisfied and we will leave no stone unturned when it comes to complete customer satisfaction. Wacky’s , located at 540 High Street, Thunder Bay, Ontario. Call or visit their store, 705-767-2000.